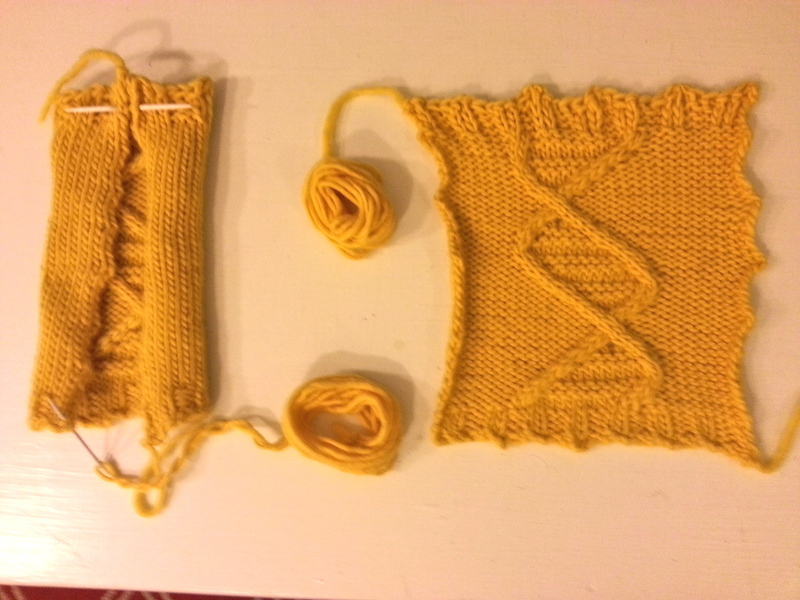 Project #5 preview: My DNA is showing! Here’s the list! I have written about most of these before, but #5 and #1 are brand new projects! 10. Harry Potter Cat Toy Details: Knit in August 2012 for a couchsurfing host, first blogged here, based on this pattern. Nerd Alert: The recipient had two cats named Harry and Ron (brothers! 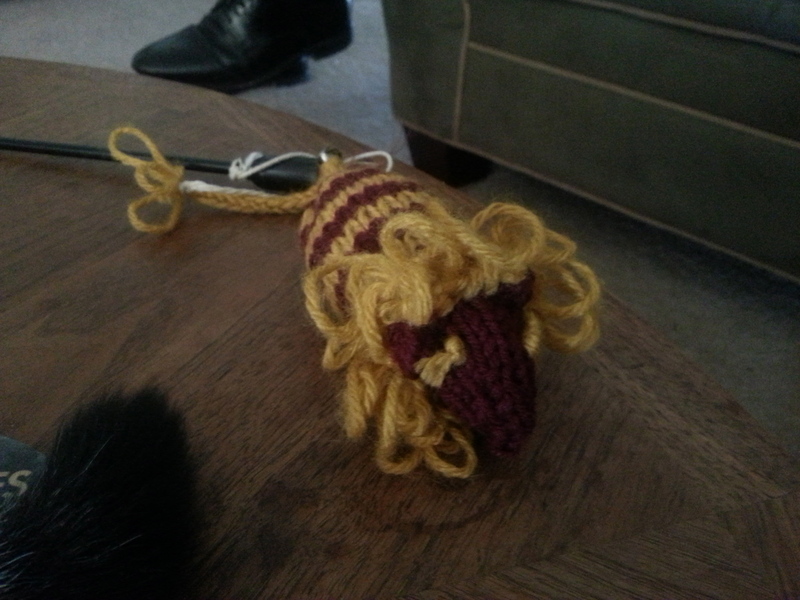 ), so of course their cat toy had to be knit in Gryffindor colors. I also gave it a mane, because of course I did. 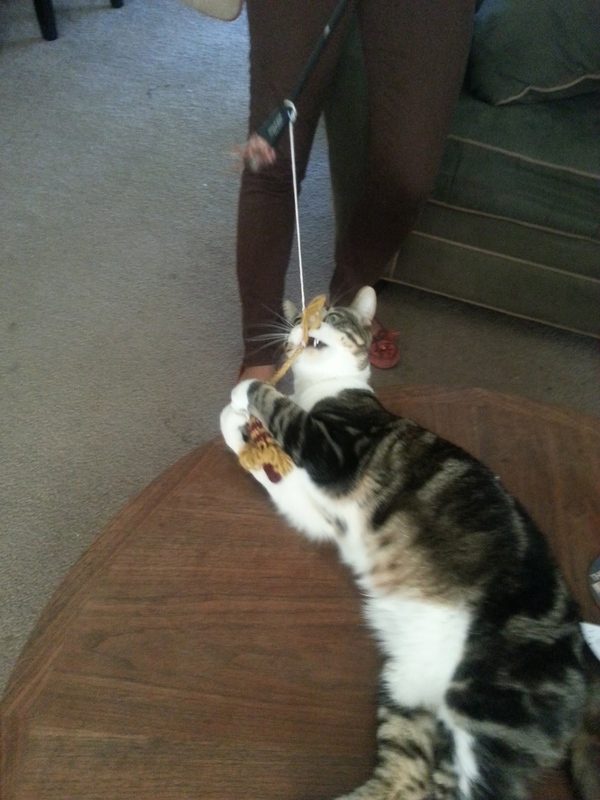 Harry caught the snitch, er, mouse in his mouth. 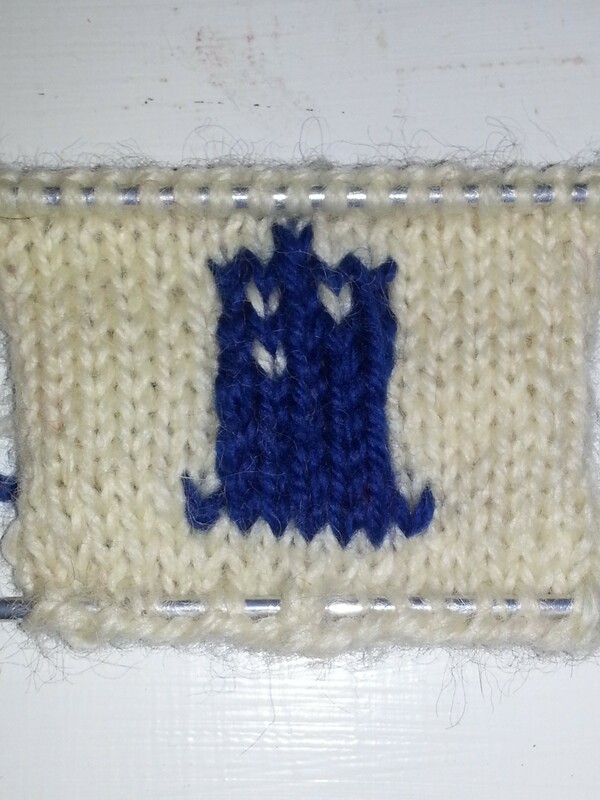 Honorable Mention: I recently knit a purple washcloth with the Knight Bus on it. Maybe the pattern did not turn out very visible…OR maybe, the Knight Bus cannot be seen with muggle eyes. You decide. 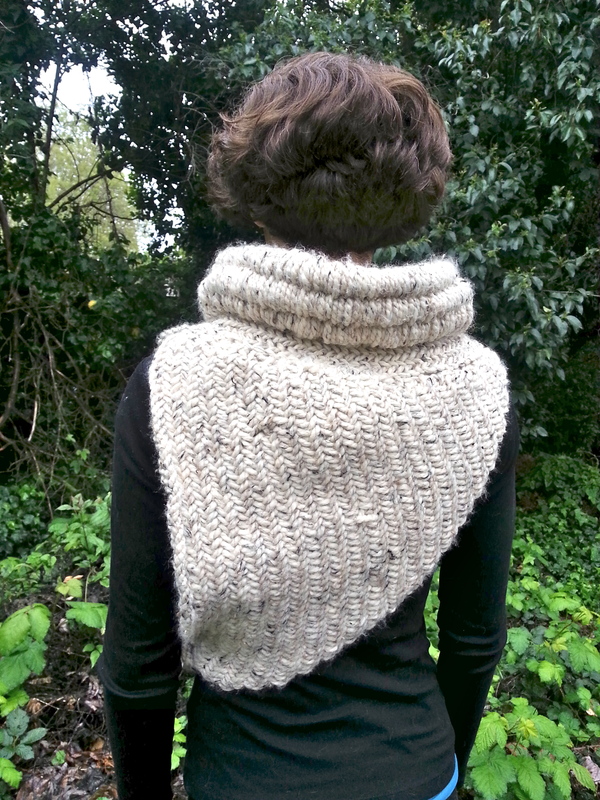 Details: Knit in November 2014 for a fellow knitting friend, blogged here, pattern details here. 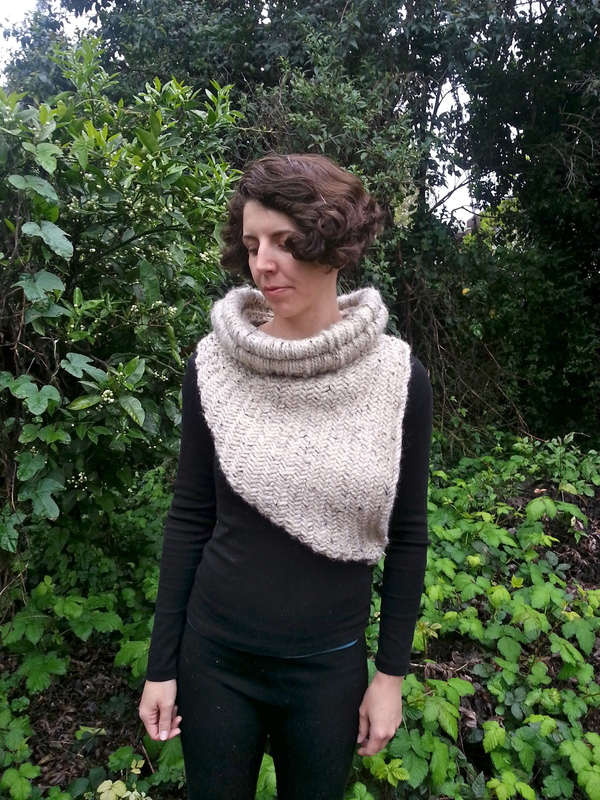 Nerd Alert: Many knitters make sweaters. 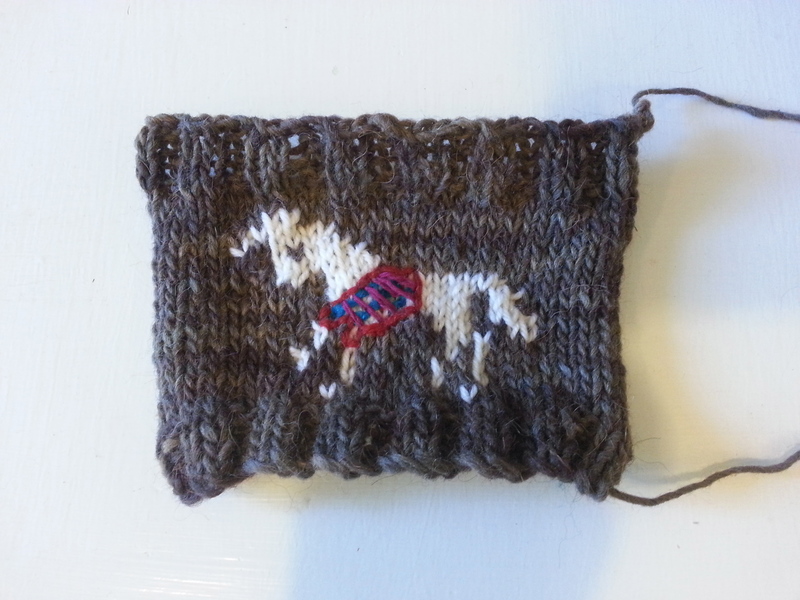 A select few knit sweaters for Shetland Ponies. 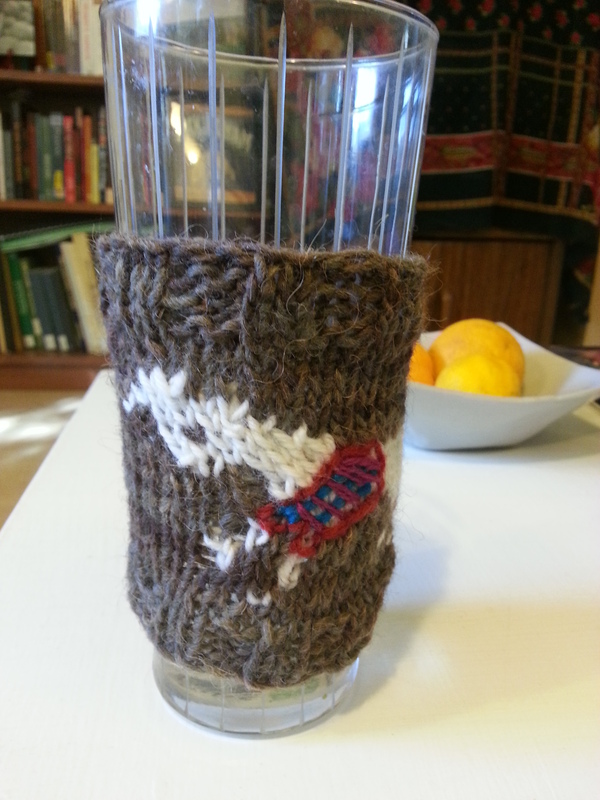 But to my knowledge, I am the only one who had made a sweater for a knitted pony on a beer cozy. one pint of ale, please. Details: Knit in March 2014 for myself, blogged here, ravelry pattern notes here. Based on the cowl the main character wore in the second Hunger Games film. Nerd Alert: Did I wear this to see the most recent Hunger Games film? Yes, yes I did. 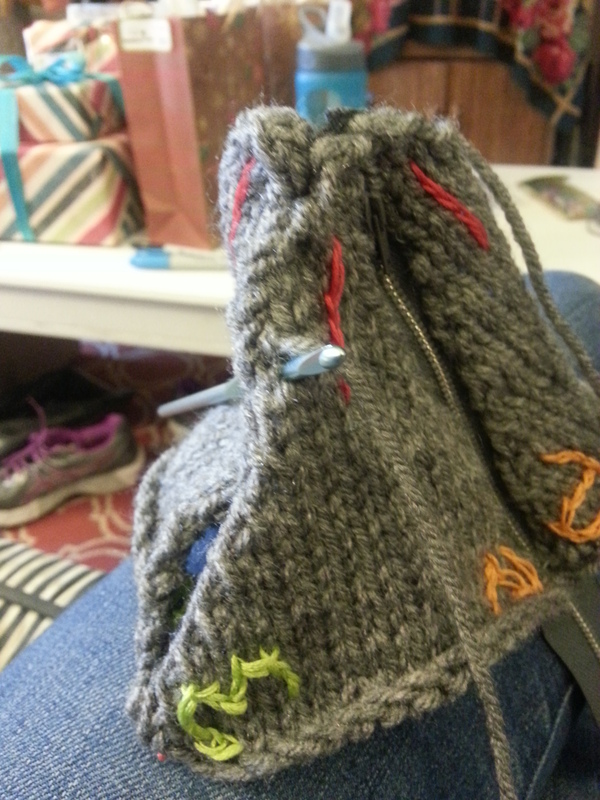 Also, it’s still held together at the side with my cable needle. 7. 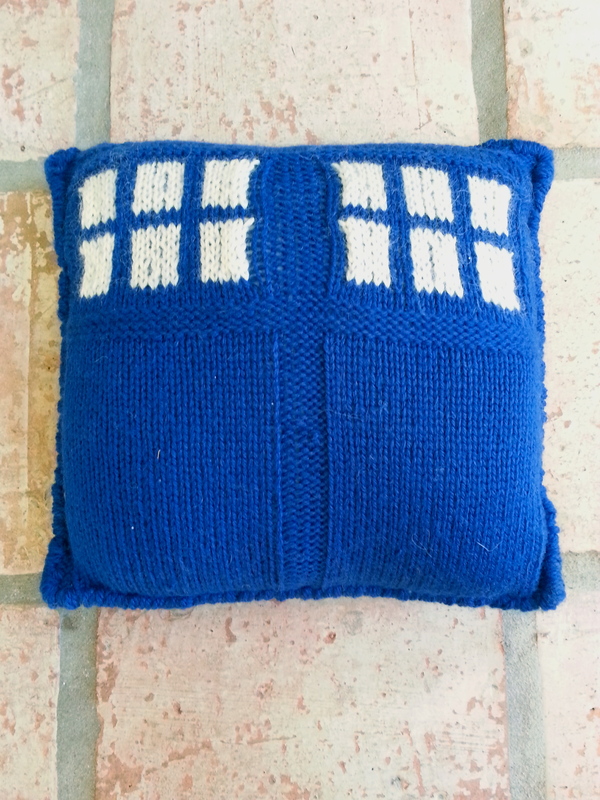 TARDIS Pillow Details: Knit in December 2013 for my brother, blogged here, pattern details here. Details: Knit in December 2012 for my brother, blogged here, pattern from here. 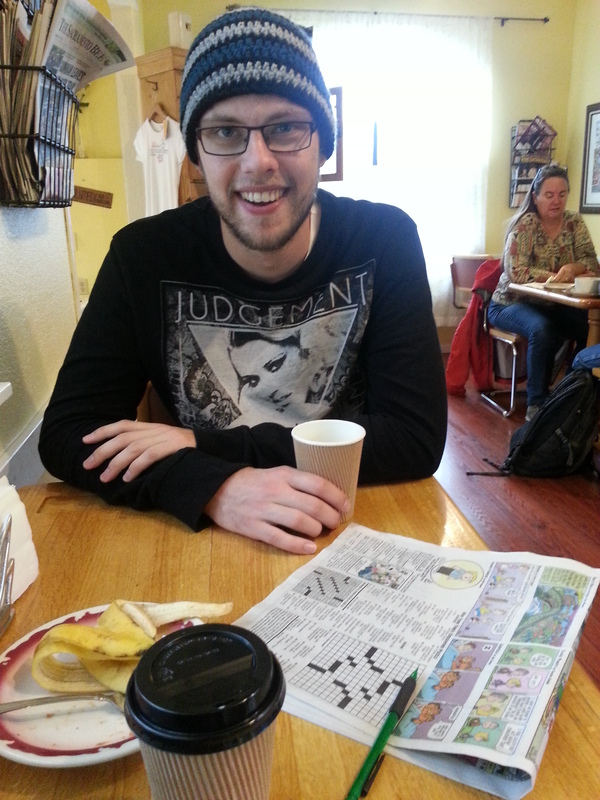 Nerd Alert: Confession—I haven’t seen Adventure Time. I know this is Finn. His face is a little gray but he doesn’t seem to mind. Details: New project! 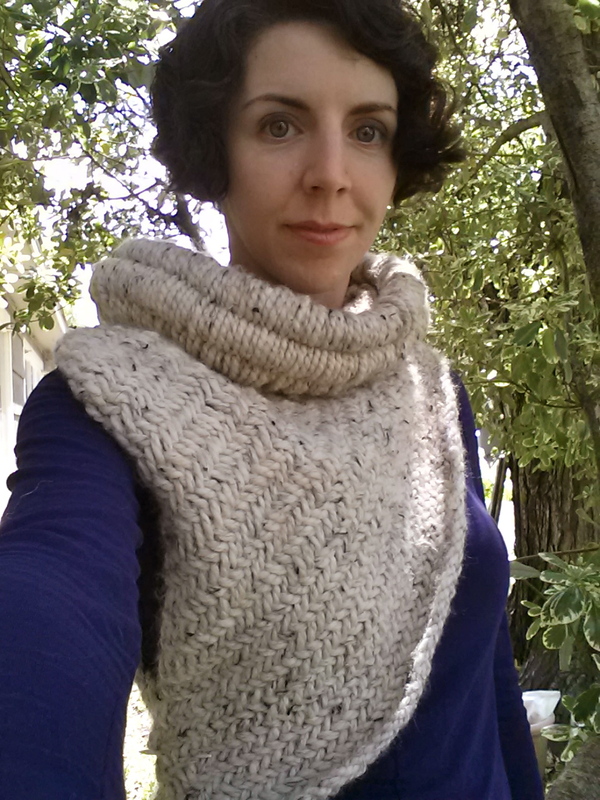 Knit in January 2015, pattern details here. Details: Made in August 2013 for myself. 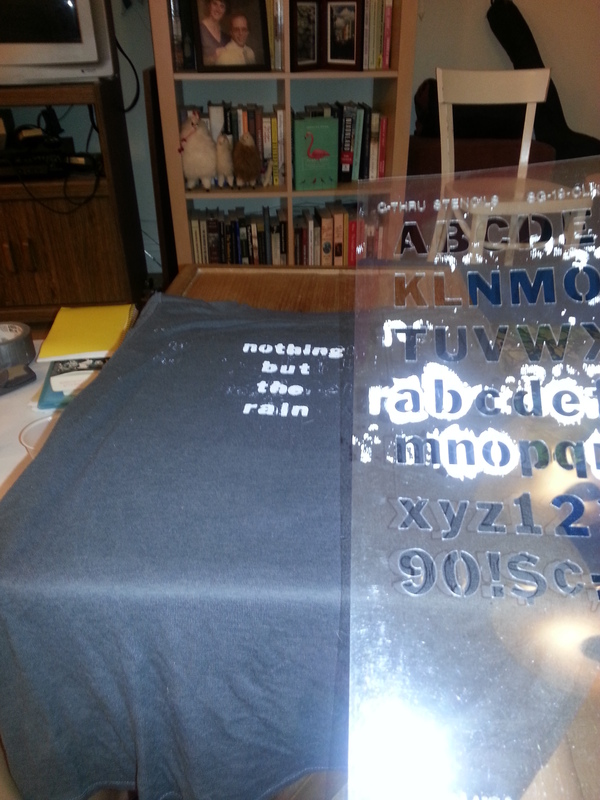 Nerd Alert: Not only did I stencil the signature phrase “So Say We All” from BSG onto a t-shirt—I also made a second shirt for my friend with the phrase “Nothing But the Rain,” an even more obscure reference. 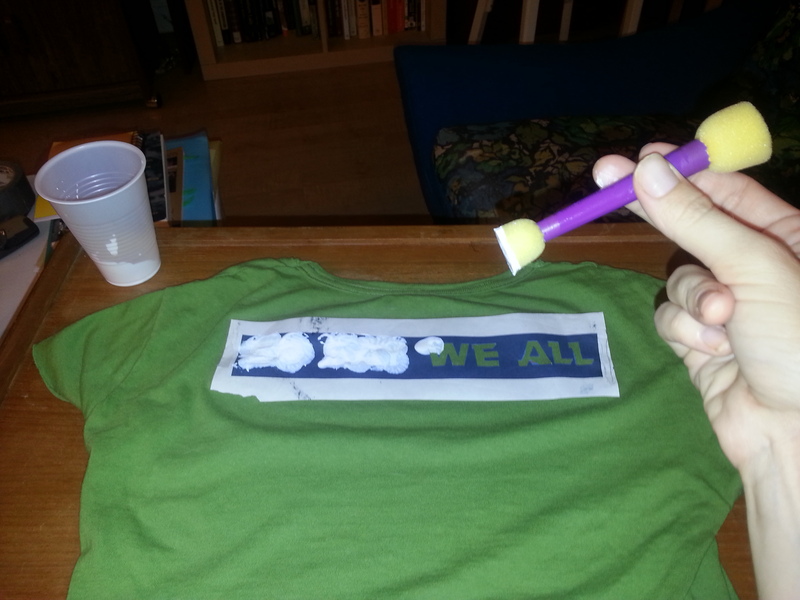 Nerdy stenciling at its best. Starbuck, what do you hear? Details: Knit in January 2014 for myself, blogged here, pattern here. 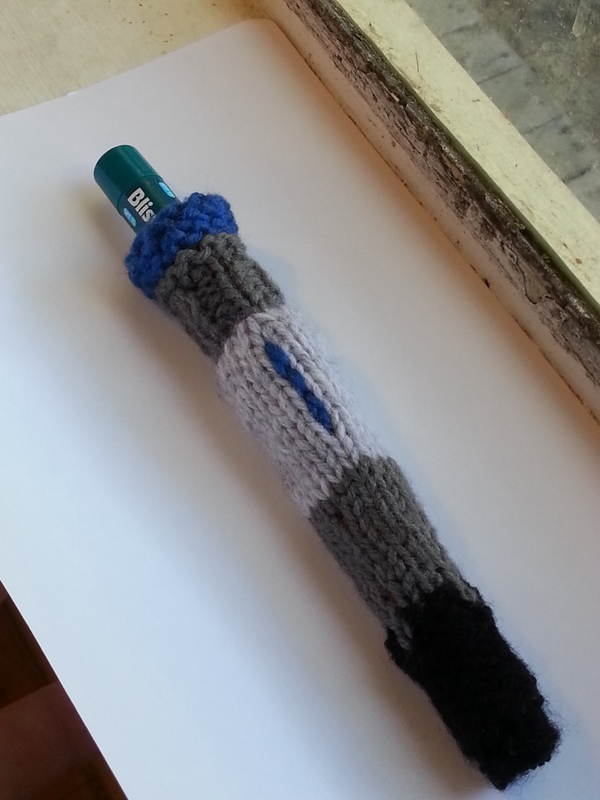 Nerd Alert: Not only did I make Doctor Who’s sonic screwdriver to hold two chapsticks…I may have shown it to a cosplaying Tenth Doctor I ran into. Just saying. Details: Knit in November 2012 for the friend who introduced me to Battlestar Galactica, blogged here, pattern here. Nerd Alert: Before I saw BSG, I dismissed it as Top Gun with Robots in Space. That is, until my friend convinced me it was about much more than that (like the ethics of what it means to be human—I was sold) and I gave it a chance. 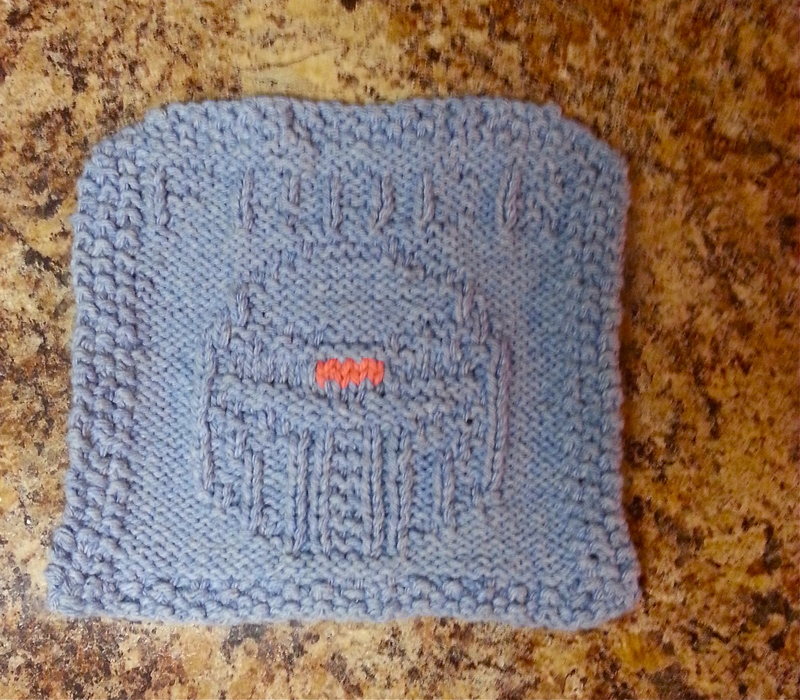 To thank her for this, I made her a potholder that not only had a creepy red glowing cyclon “eye” but the words “FRACK” and rounded corners at the top. 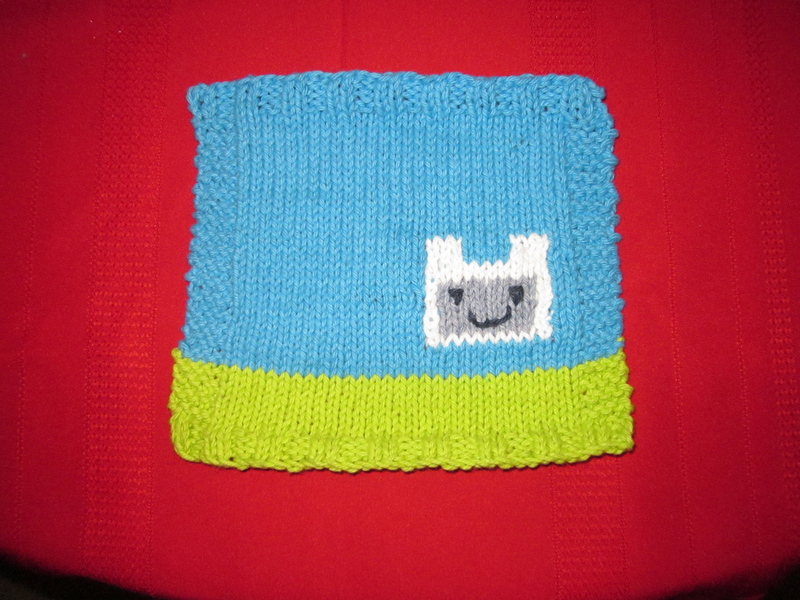 It’s a terrifying potholder. I’m that kind of friend. 1. 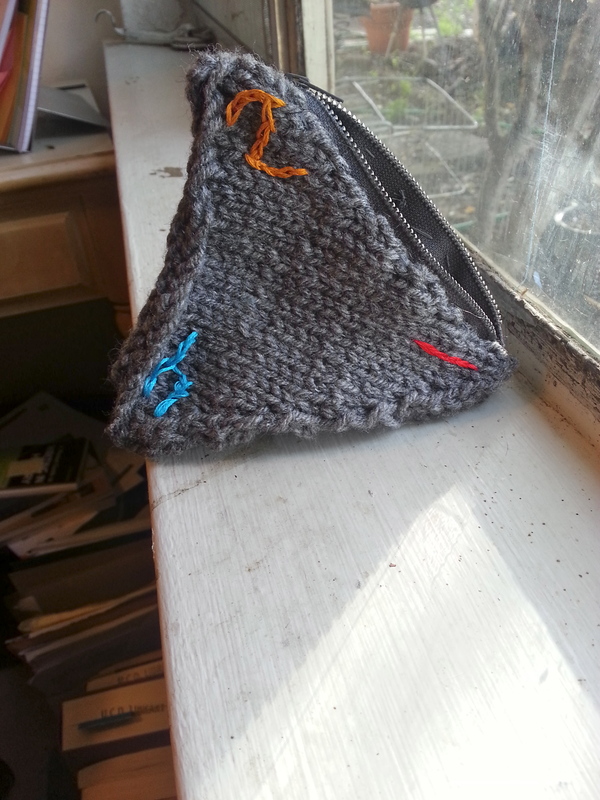 The Dungeon Master’s D4 Dice Bag Details: New Project! 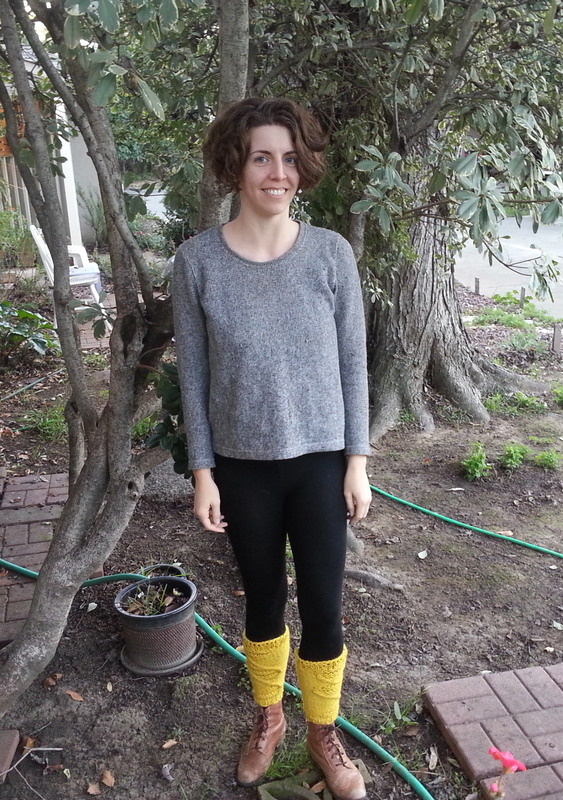 Knit in December 2014 for my brother, pattern here. 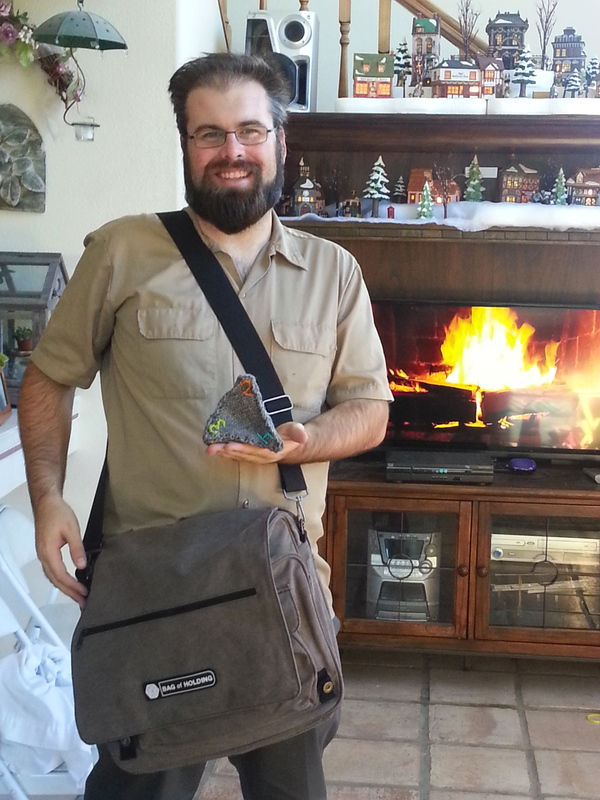 Nerd Alert: I’ve never played Dungeon and Dragons, but my brother leads several D&D groups and has need of dice transportation! 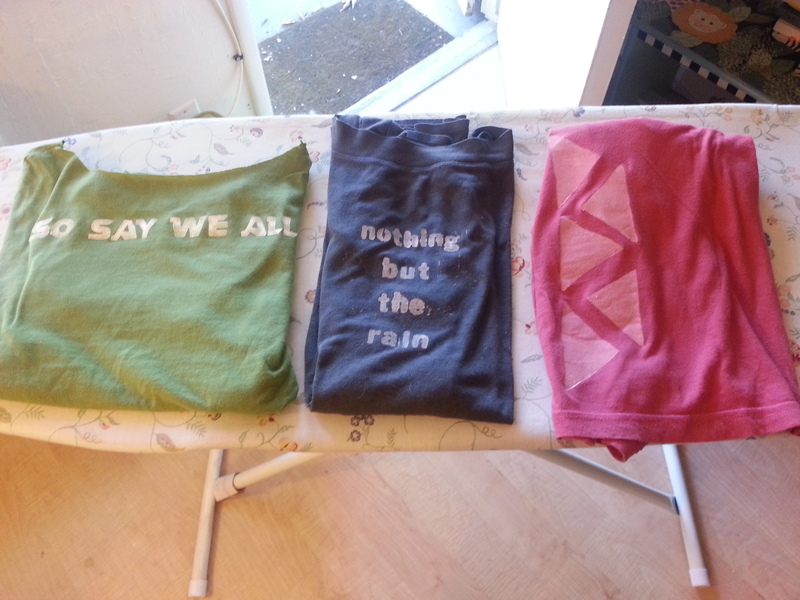 Not only did this project require maths to get the exact size of triangle, it also required sewing a zipper. I stitched the numbers in different embroidery threads to make it extra colorful! 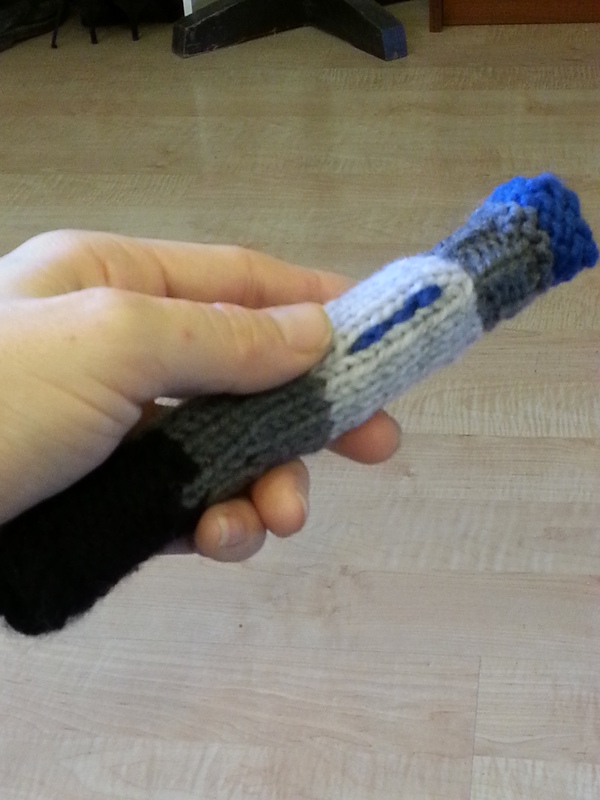 While I enjoy making things for myself, the best part of being able to knit something nerdy is having something fun to give to the lovely nerdy people in my life. 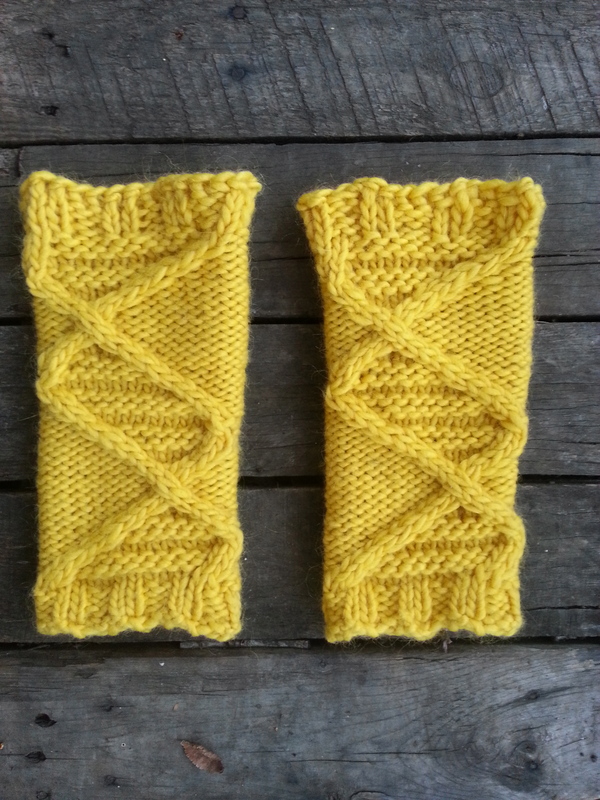 Here’s to ten more nerdy knits! 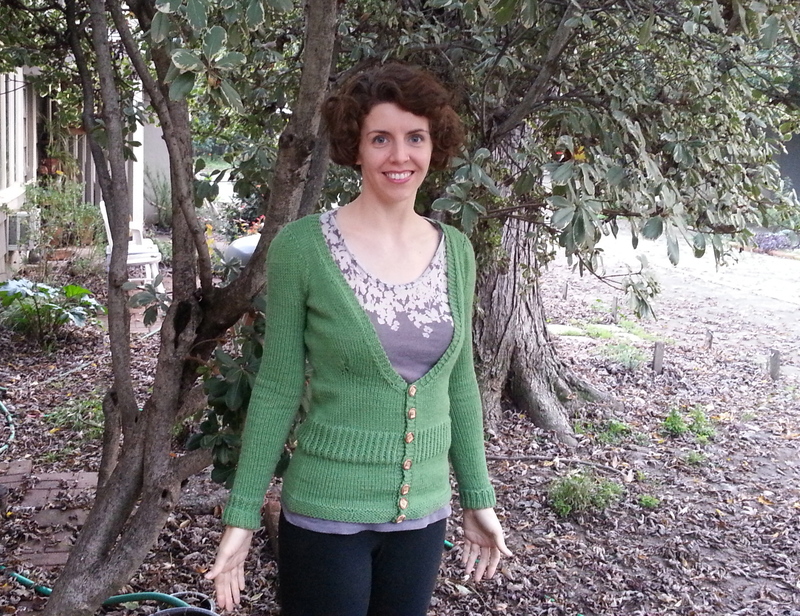 I knit a sweater! It took forever. But it’s finished and I love it. 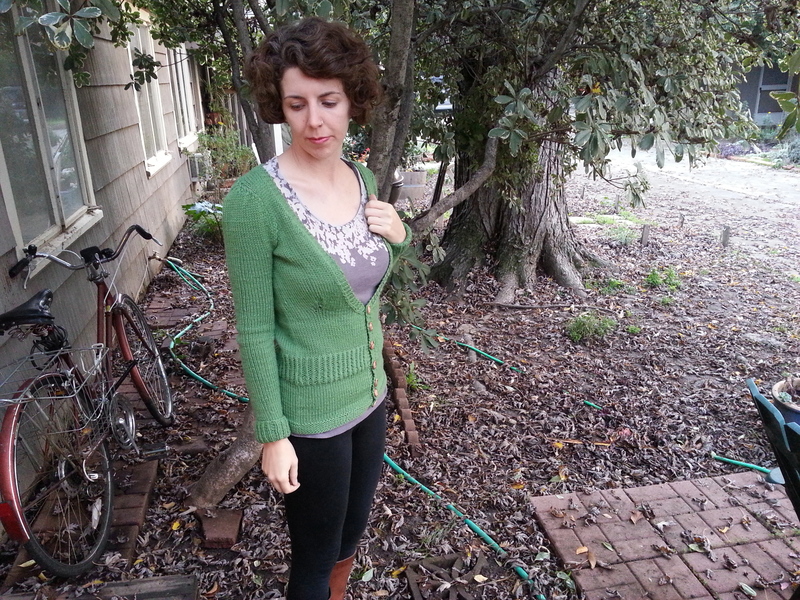 This is my version of the Mrs. Darcy cardigan. 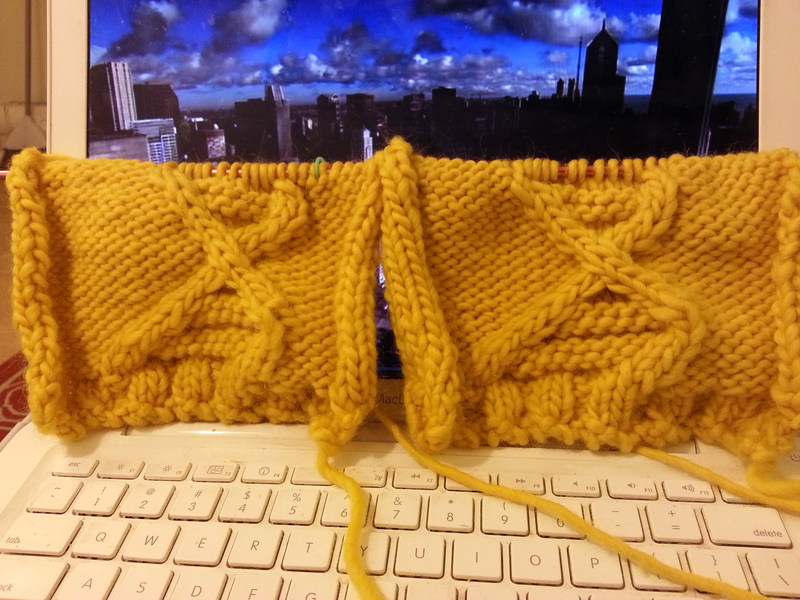 According to my ravelry project page, I started it on January 5, 2014. 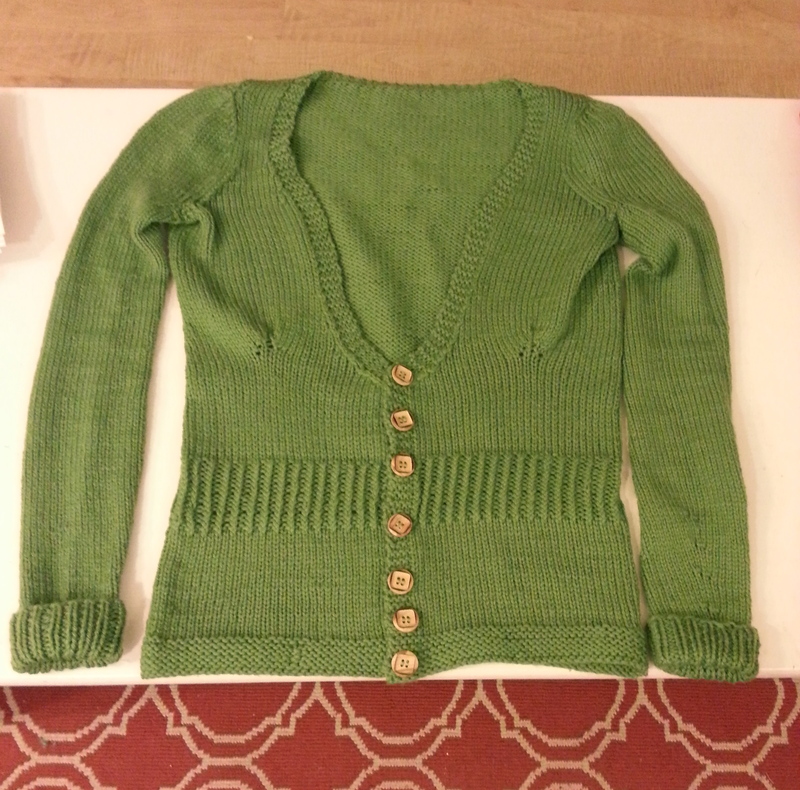 I sewed the final buttons on December 7, 2014. 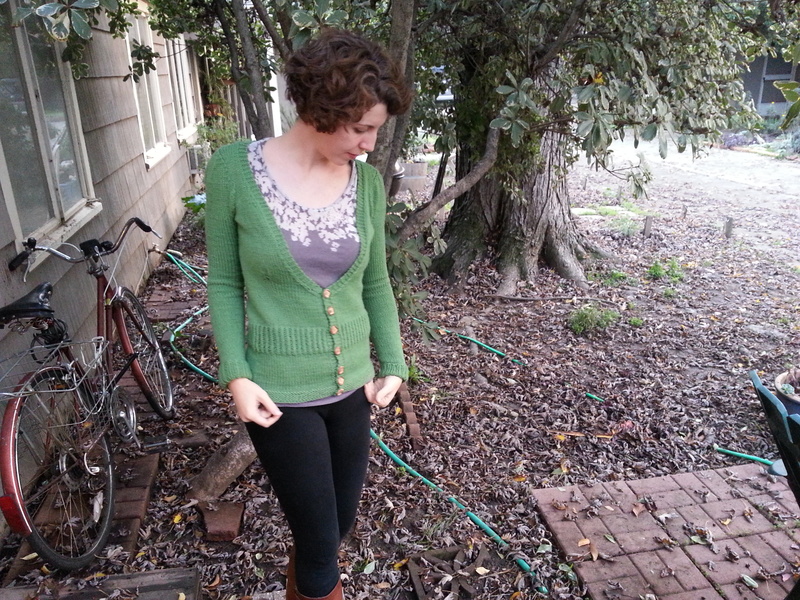 The post where I first described this sweater is here. Everything went quickly at first. 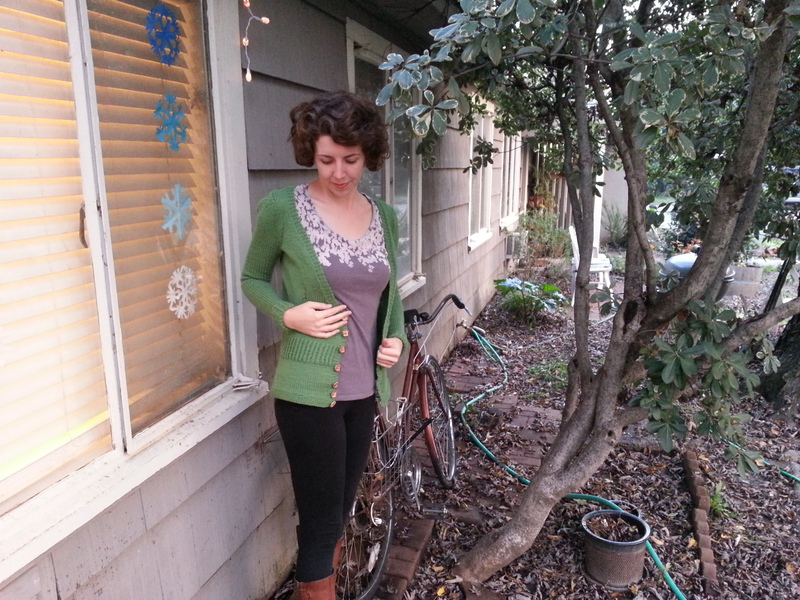 I finished the sleeves in January, but I stalled in February because I realized that I would need to modify this short, deep V neck cardigan to fit my long torso. 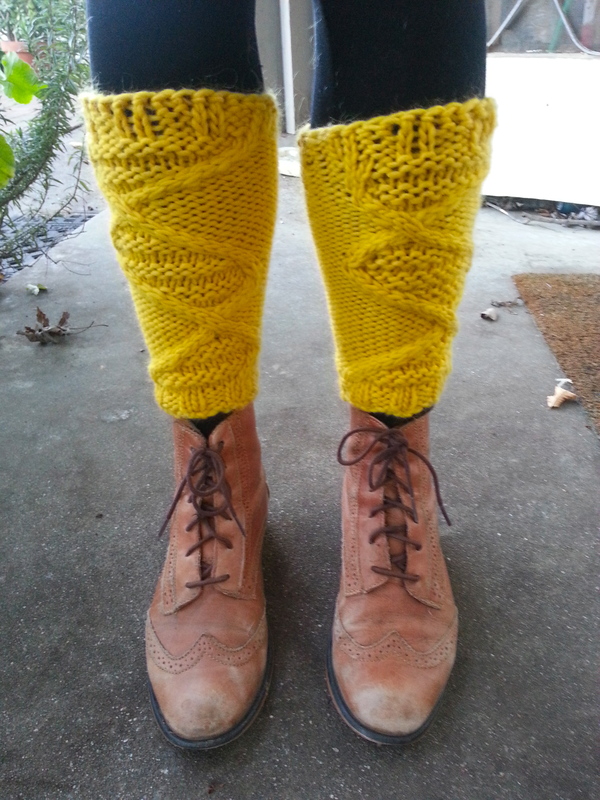 I ended up using Wakenda’s modifications to the pattern. The funny thing is, her version looks very different from the original pattern—the V isn’t very deep. 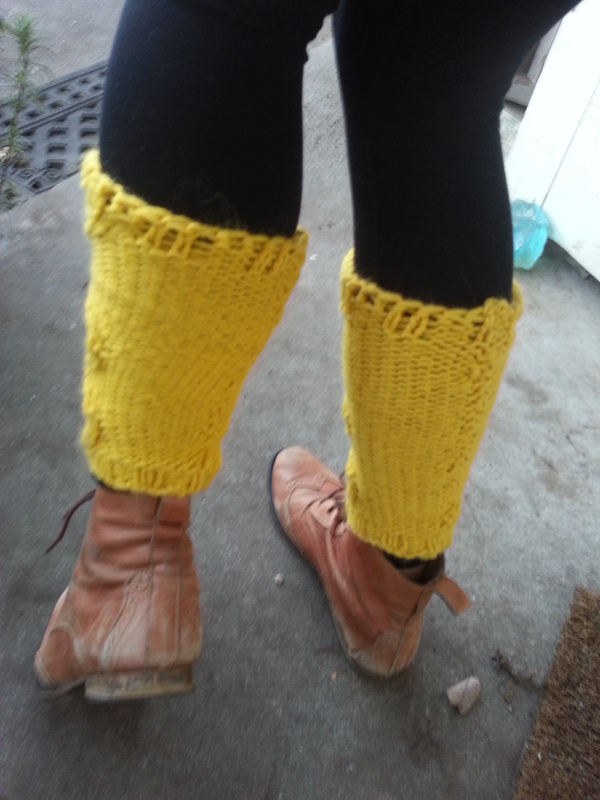 But I also added lots of extra length, so it actually ended up looking a lot like the original pattern! 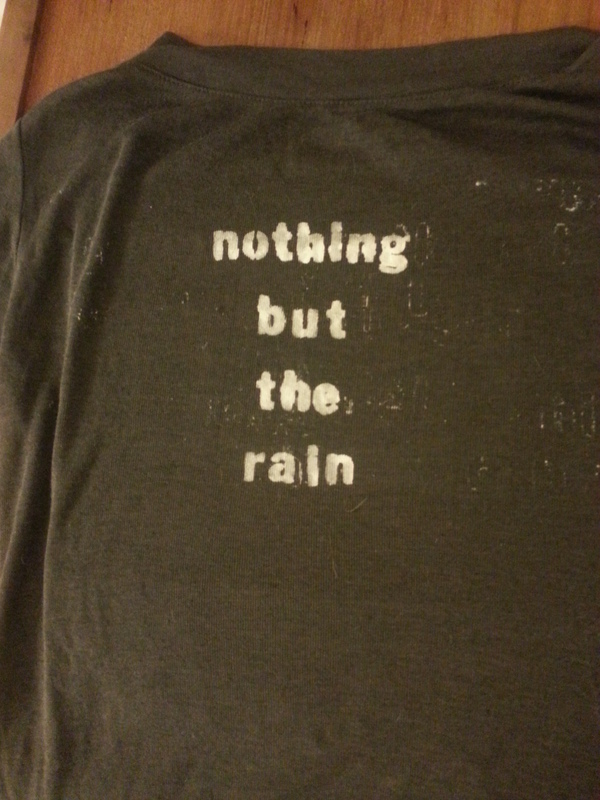 Here is it without buttons. 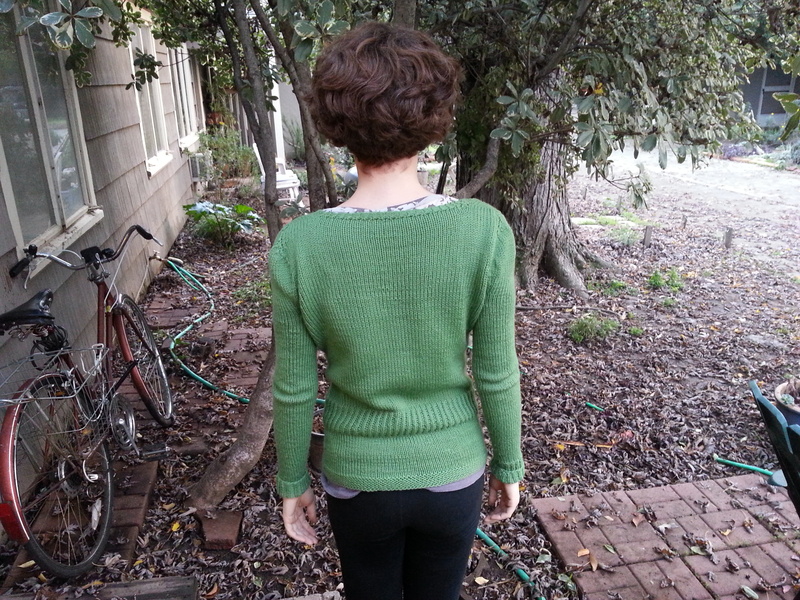 I essentially made an extra long size small, blended to a medium nearing the shoulders. 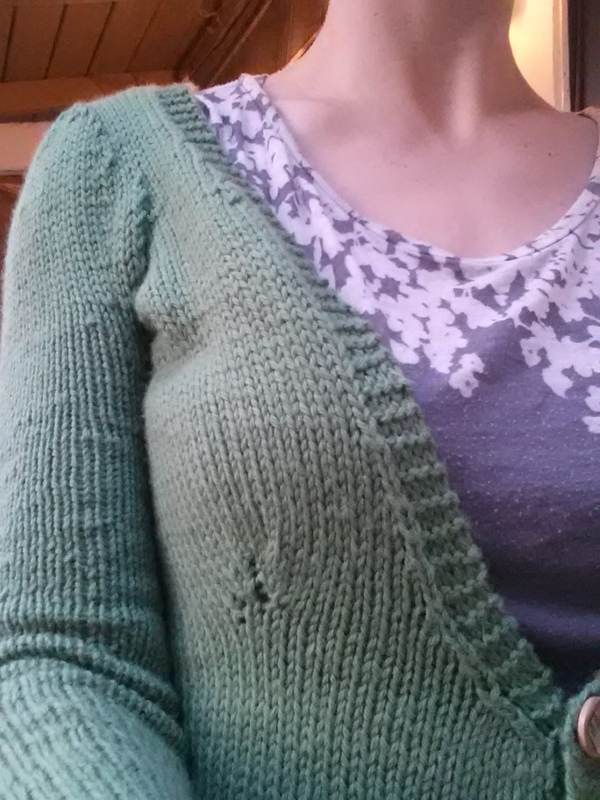 It used a little under 5 skeins of Cascade 220. 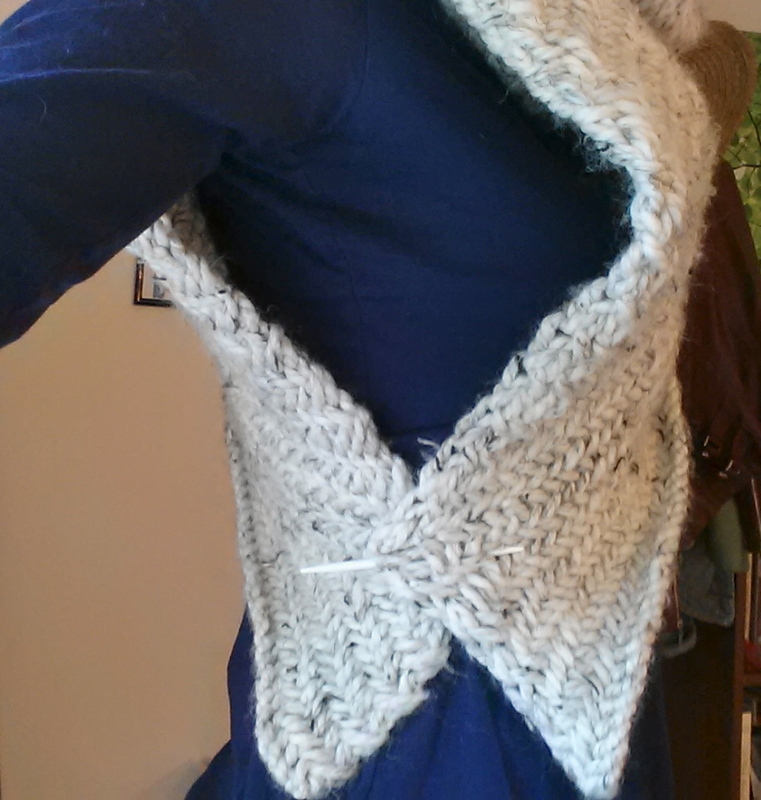 This was my first time ever sewing buttons onto knitting. I used this video tutorial and it helped quite a bit. 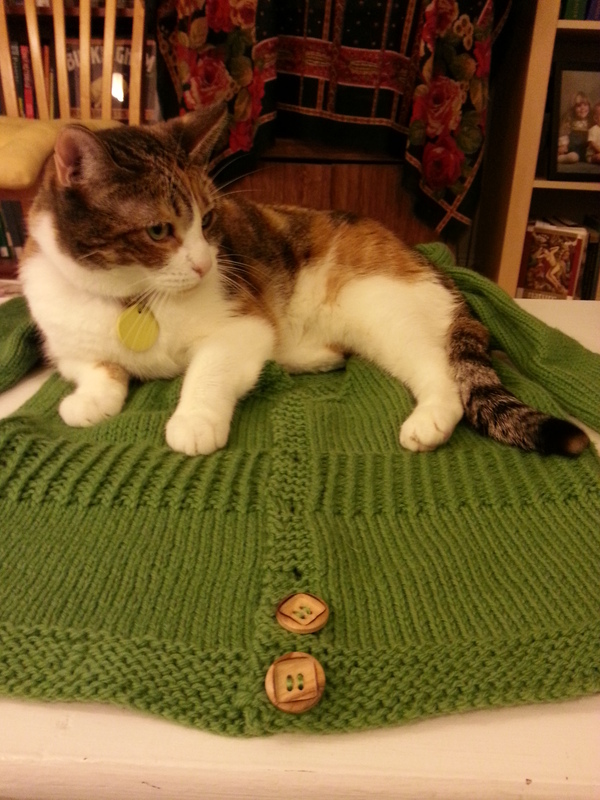 You really have to make sure you compensate for the thickness of the sweater when you sew them on, especially if you make a cardigan that fits as snugly as this one. You also have to remove the cat before sewing them on. Obviously. 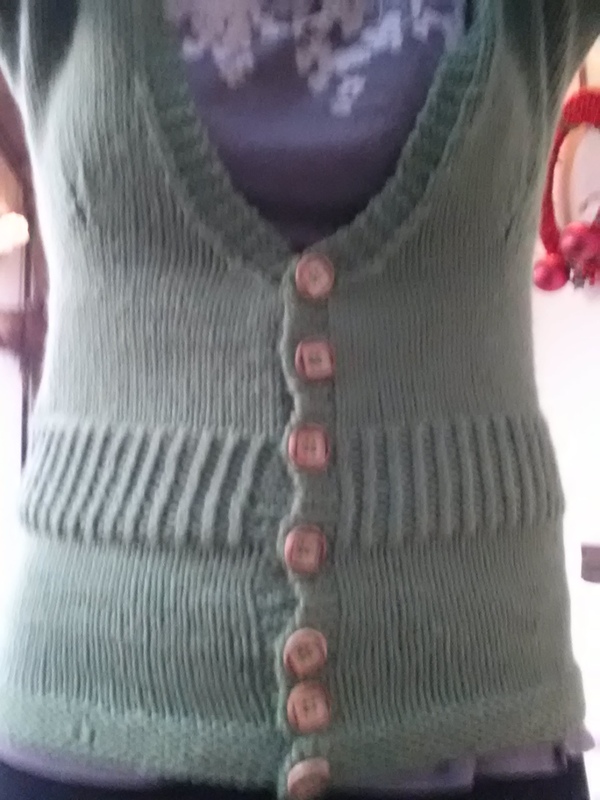 Fun fact: since I’m a lefty knitter, the buttons are on the “wrong” side for a woman’s sweater! 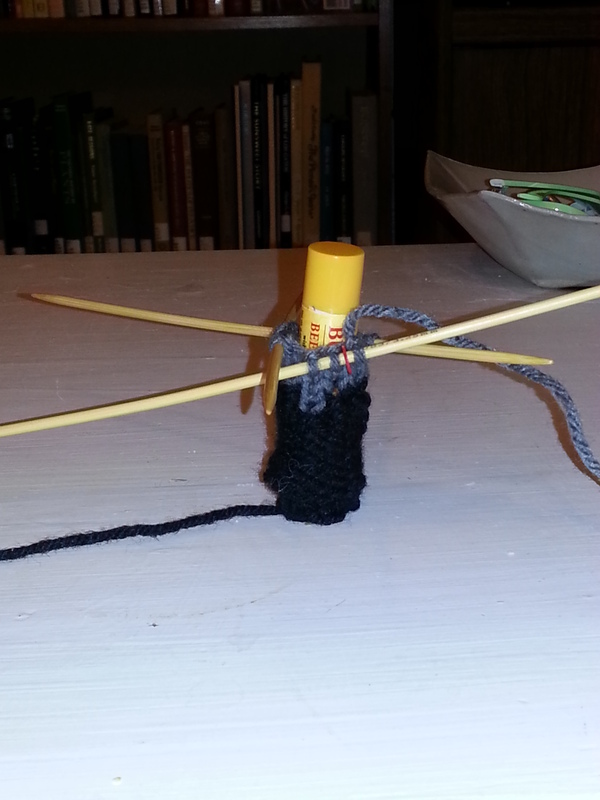 It’s knit in the round, you see. 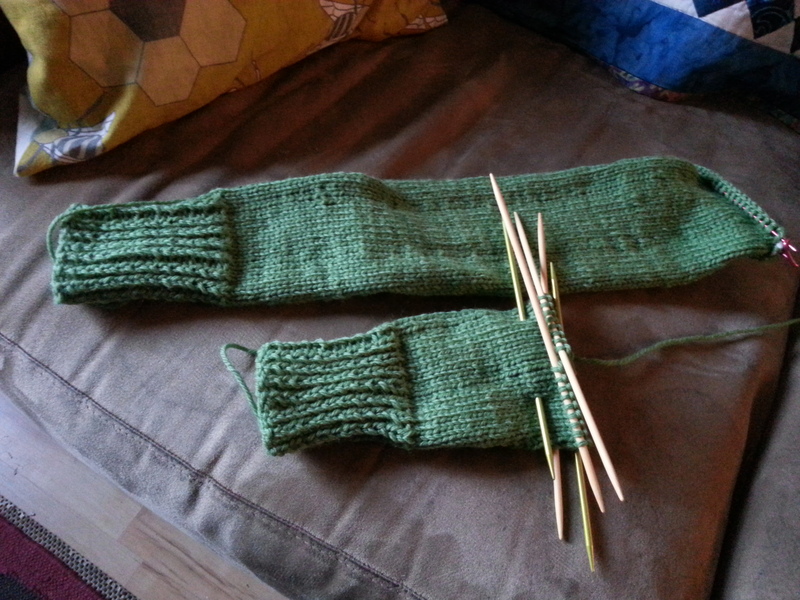 Yet another quirk of left-handed knitting. detail of the bust darts I added (it does seem to improve the shaping) and construction of the shoulder. 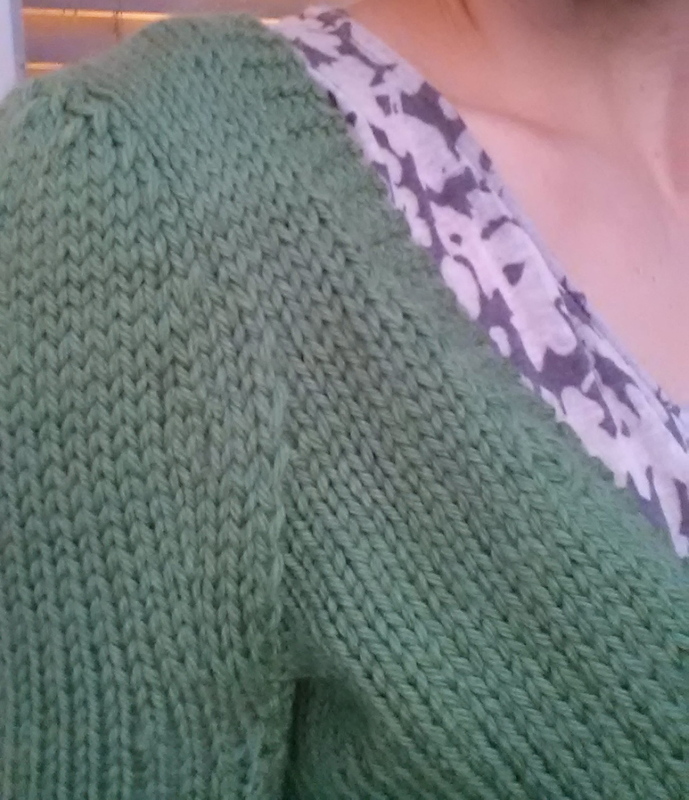 I had never done a bottom up sweater, so wakenda’s description of joining sleeves was much appreciated. 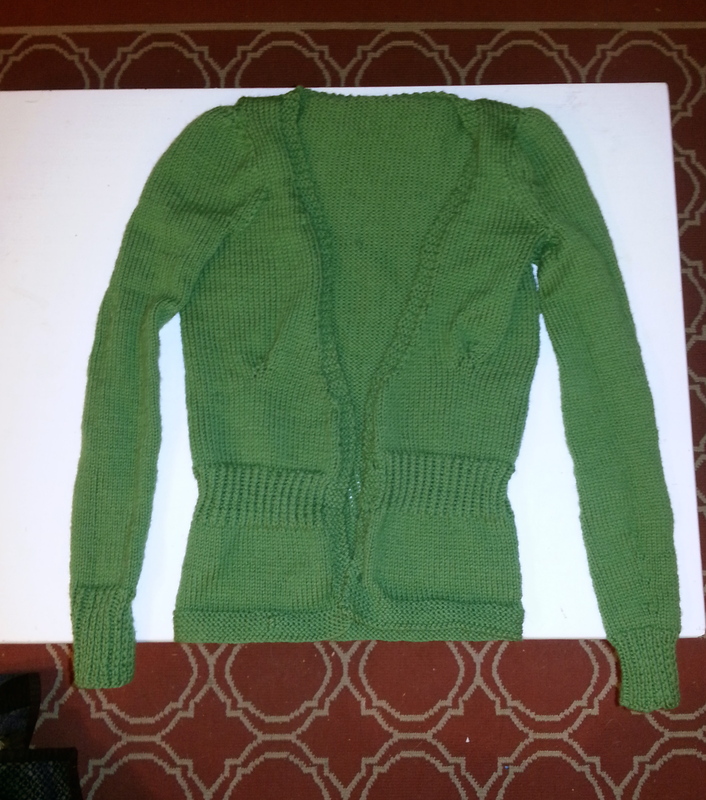 I added an extra inch or so at the armpit when I seamed it together, mostly because when I started this sweater I did not have any muscle from climbing, but now I do, and those shoulders were gonna be tight (the forearms are a little snug, but that’s less of an issue). 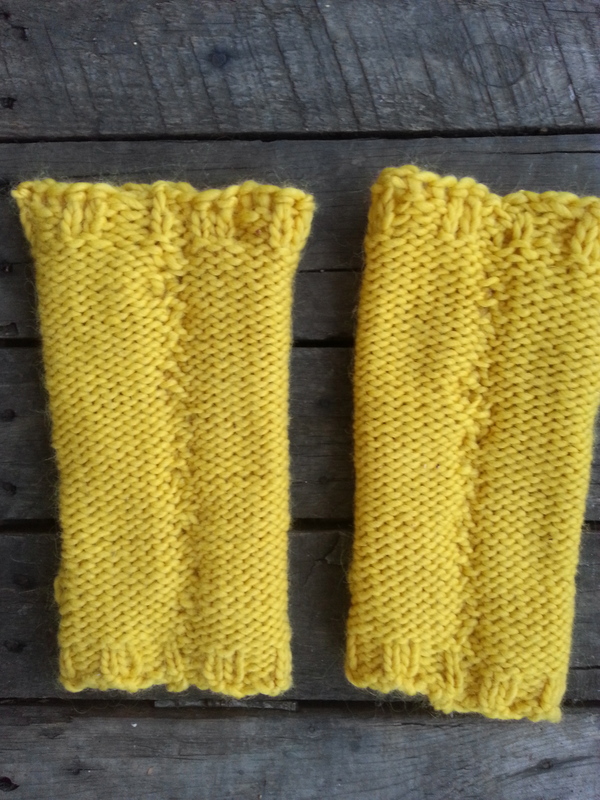 It takes me forever to finish a big knitting project like this, but I’m always happy with the results. 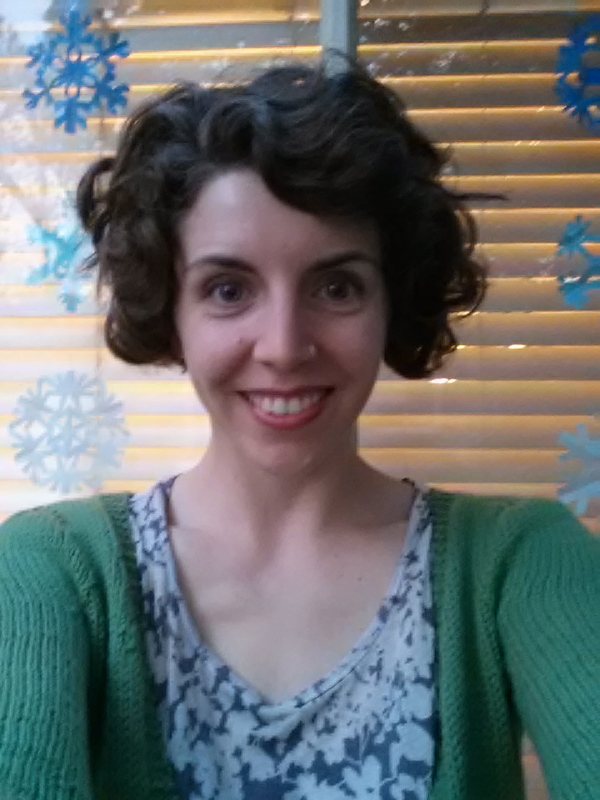 Here’s to tacking another sweater in 2015! 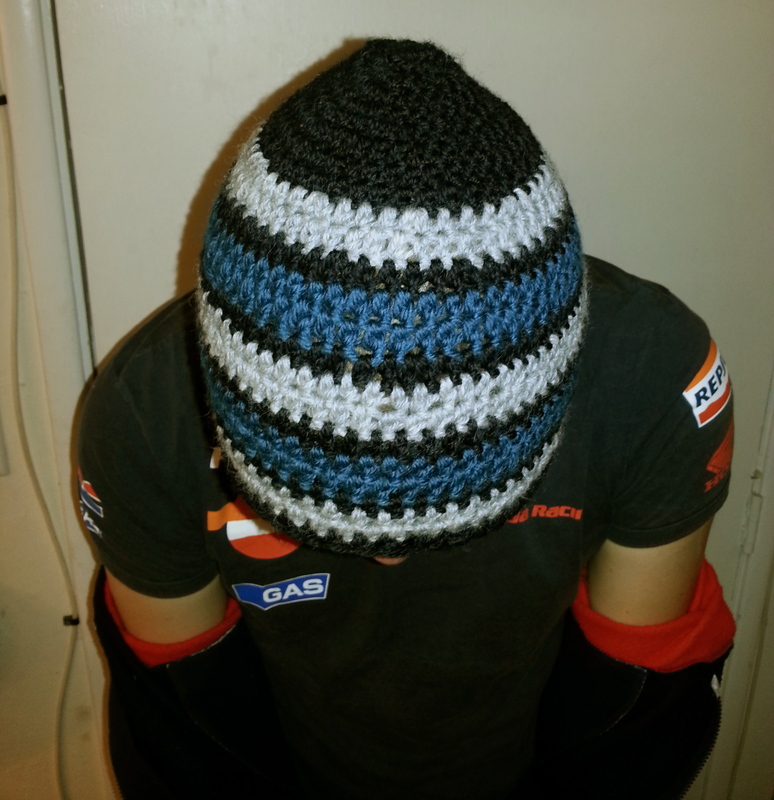 This is a quick post to share some knit and crochet hats I’ve made. Some of them are things I made a long time ago but never shared (in those cases, sorry about the crappy quality of the old photos!). 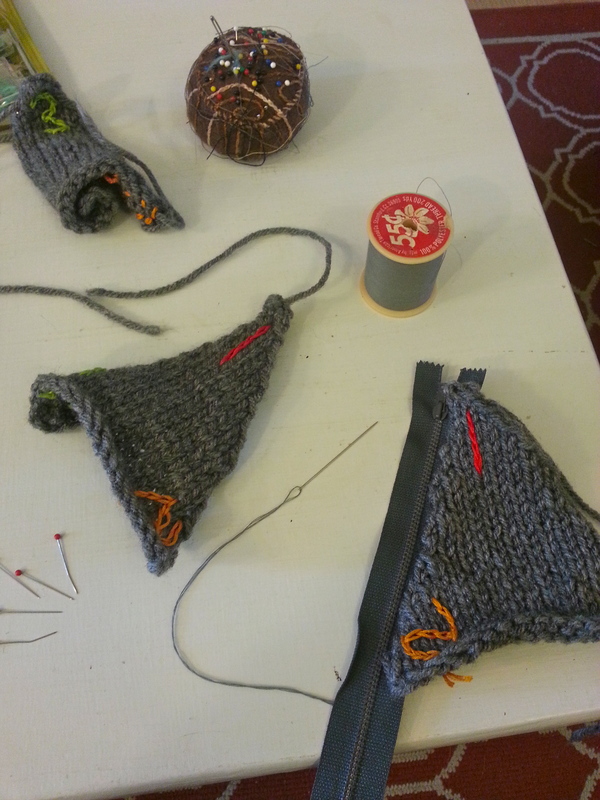 They all have three things in common—they are hats, they were made gifts, and they involved colorwork. They were all things I made for guys as well, but they don’t have to be for men only—I would wear any one of these hats. Hats make great holiday gifts—they don’t take as much time or require as much fitting as other projects do, they are super practical, and you can probably make them with yarn in your stash. This patterns, as usually, are all available on the internet for free. 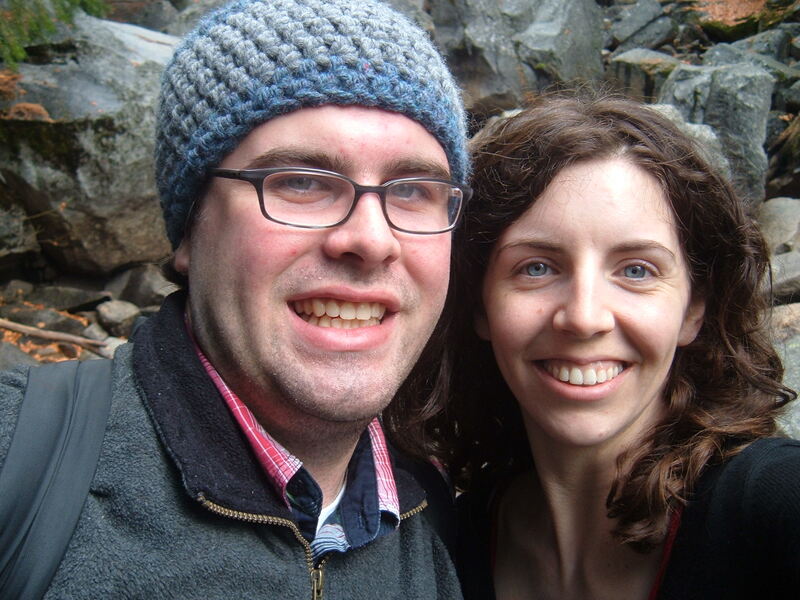 The fastest way for me to make a hat is to crochet one. 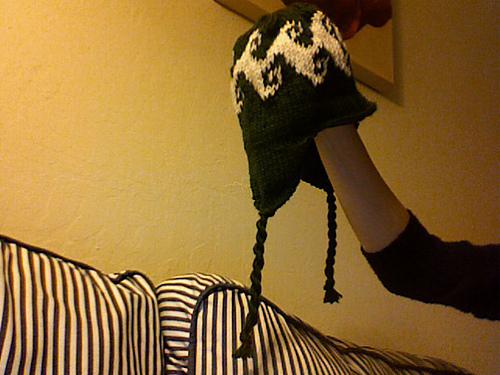 And the easiest way to make said hat more interesting is to add stripes. 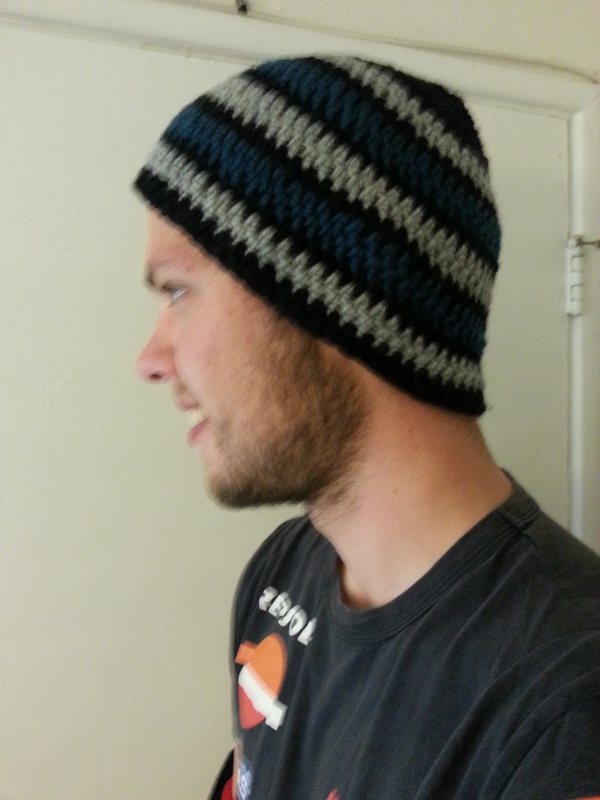 I made this beanie in a few hours using blue, gray, and black worsted weight wool from my stash. I placed stripes of blue and gray two rounds tall between stripes of black that were one round tall so no one color dominated. 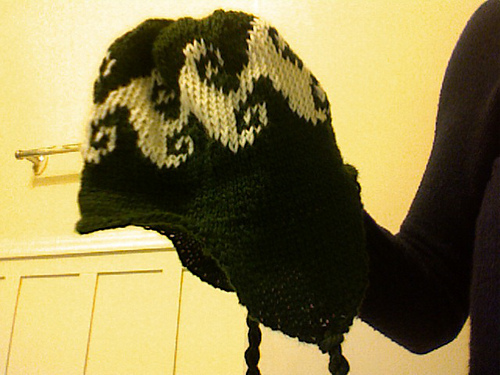 I do not actually have a pattern for this hat—I have done versions of it several times, and I adjust it to the recipient. 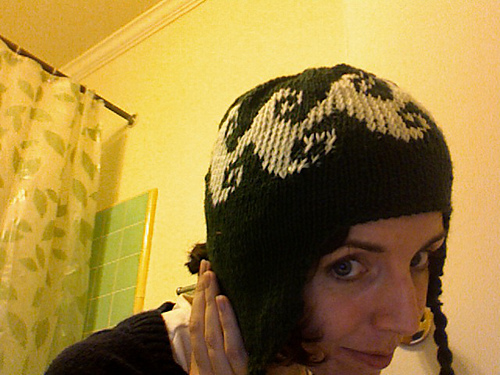 But I would suggest using this free beanie pattern if you want to make something similar. 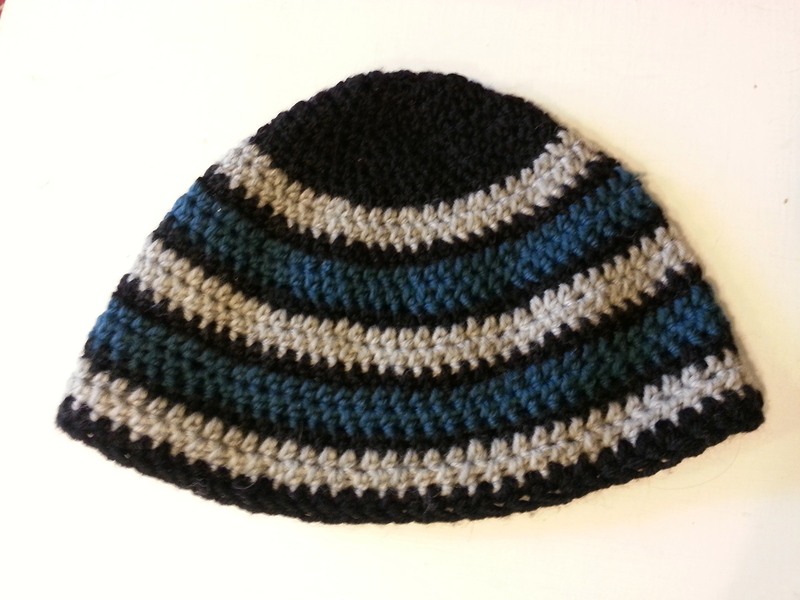 This earflap hat has a basic repeating chart to form the wave pattern. 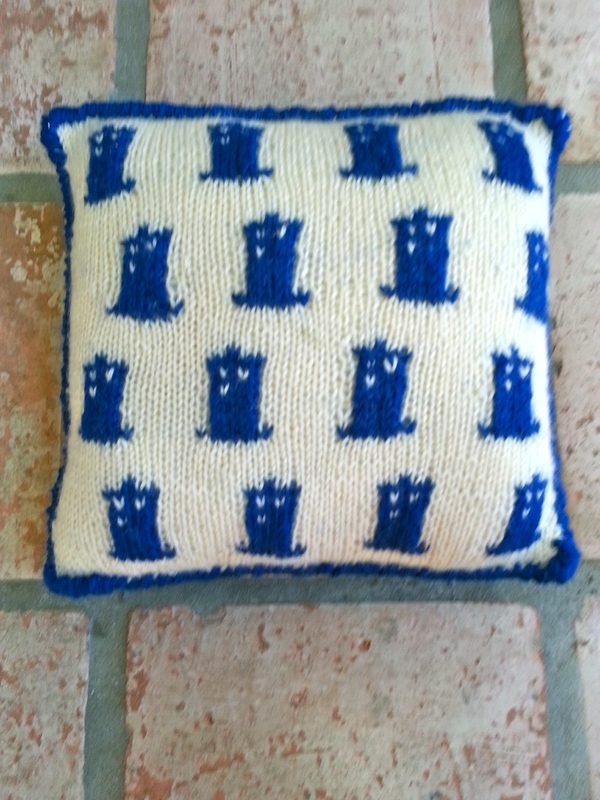 You need to be comfortable with colorwork in the round, but once you get the hang of the pattern it’s not too difficult. That’s me trying to keep my hair under the earflaps without success. 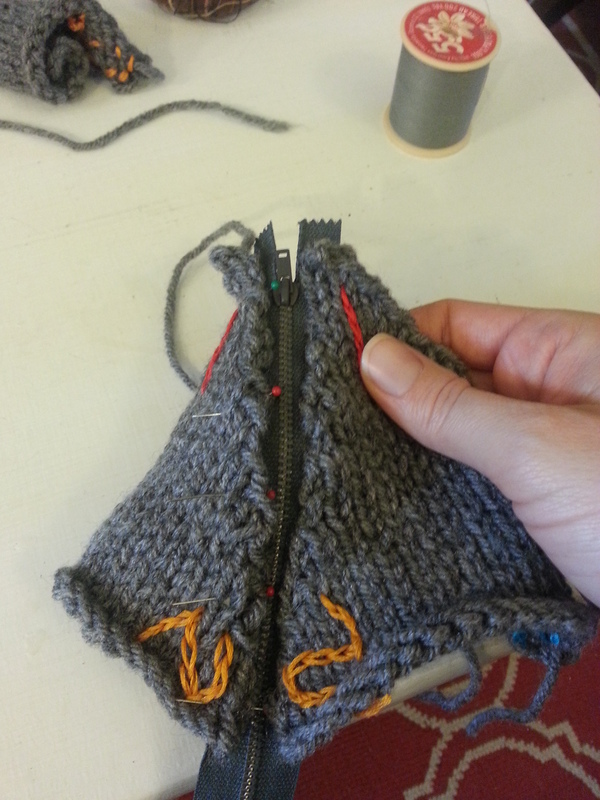 In my version, I omitted the peace sign on the earflap and joined the flaps to the hat with knit stitches in stead of purls to make it more seamless. 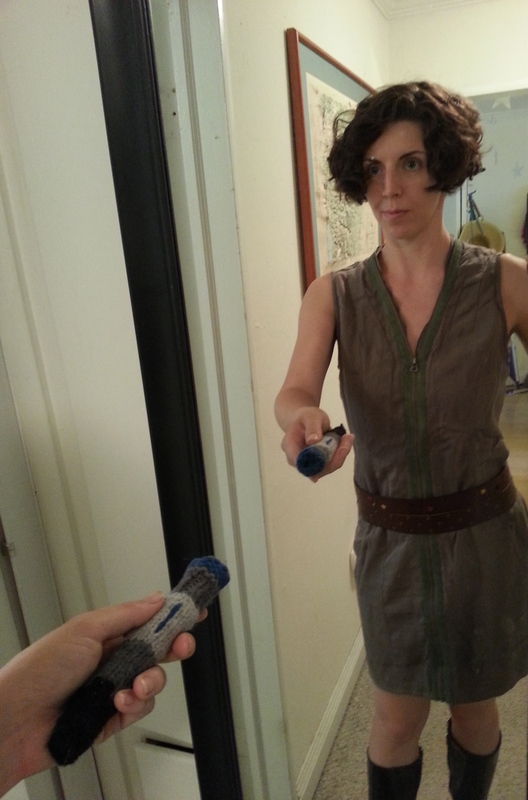 Originally I did include the tassels, but the recipient preferred it without, and was able to remove them without difficulty. 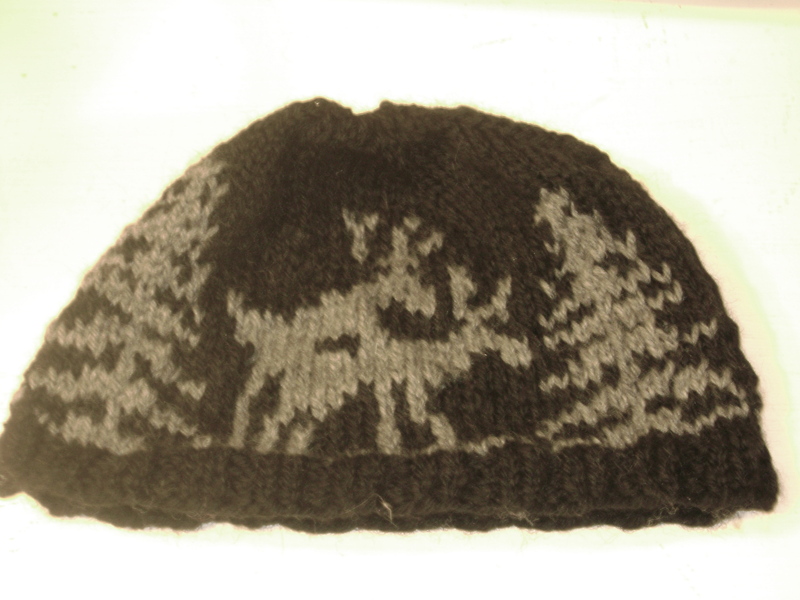 This is hat is the full package—it’s seasonal, it’s intricate, and it features two deer in the process of making another deer. It also runs really small. 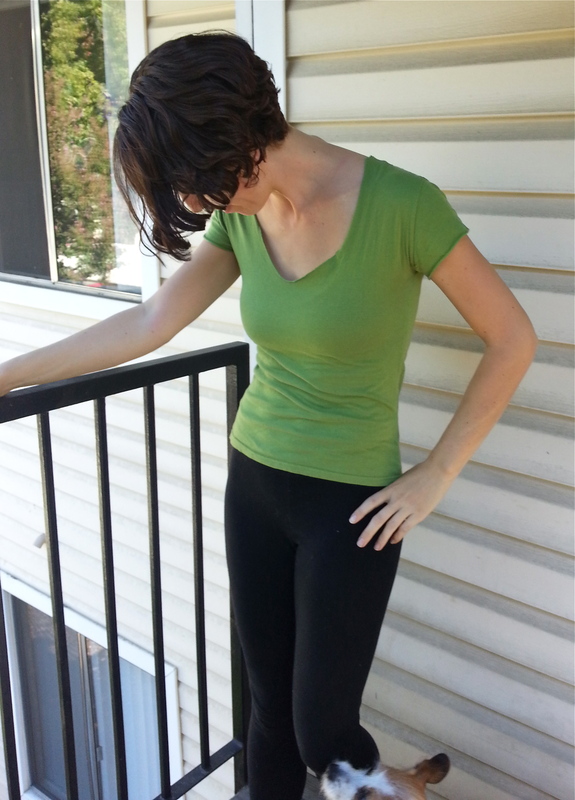 Confession—the first time I made it, I got 3/4 of the way through a size small and had to rip it back. It was awful. 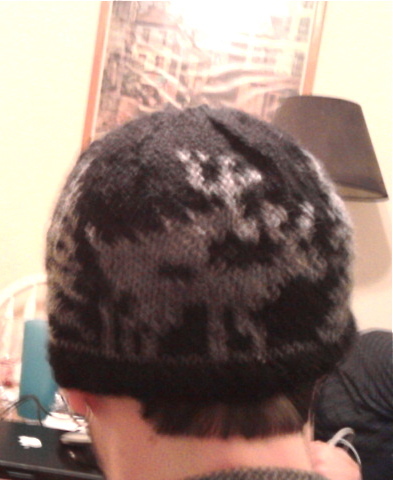 But the final product (made with gray and black wool, worsted weight) turned great. 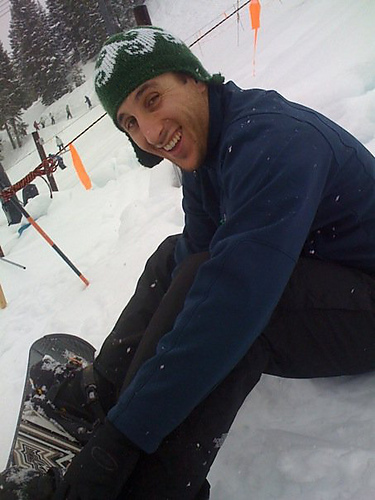 My version was a weird size—I actually used Swell as a basis for it, sort of. 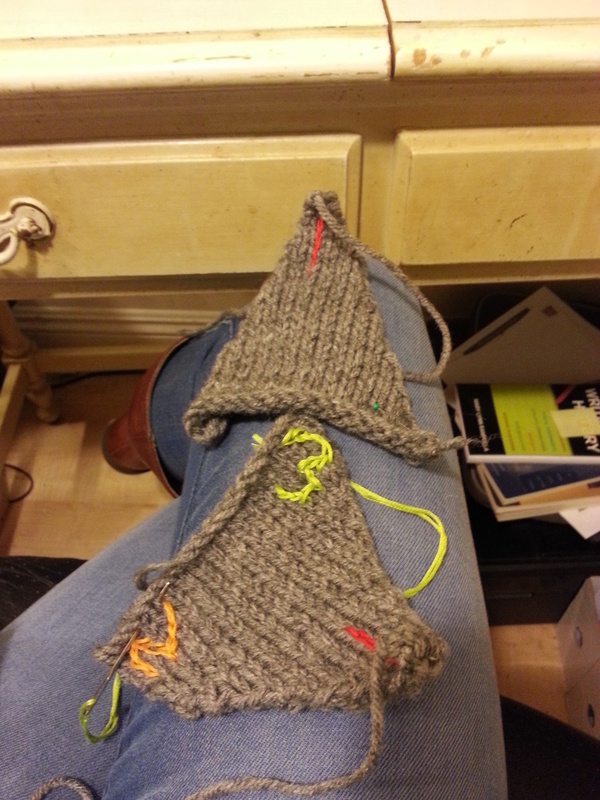 Since the medium sized Swell hat had 88 stitches and did not divide by the 32 stitch chart, I actually started knitting at the beginning of the second tree and ended at the end of the first tree, then did this all over again (total of two times). 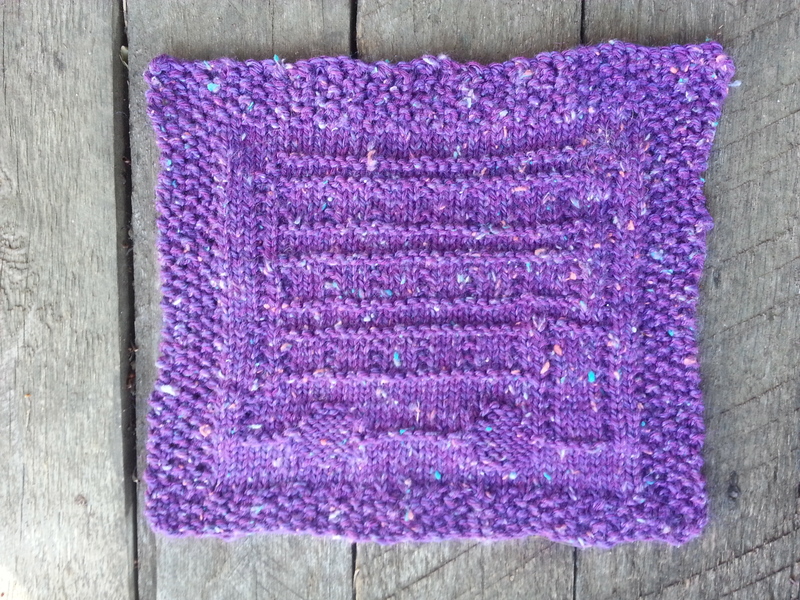 This gave me a total of 90 stitches, which was close enough to the original swell pattern (I just increased twice before beginning the chart and decreased twice before starting the top decreases). It worked. Surprisingly, with the colors I chose, the exact activities of said reindeer are not apparent until you really examine it closely. Heh.